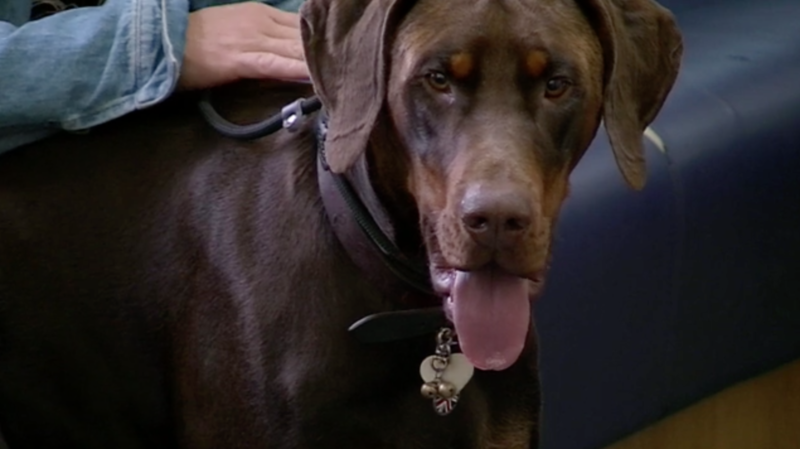 This week there’s a superstar at the Supervet’s – and for once it’s not the animals that are turning heads. 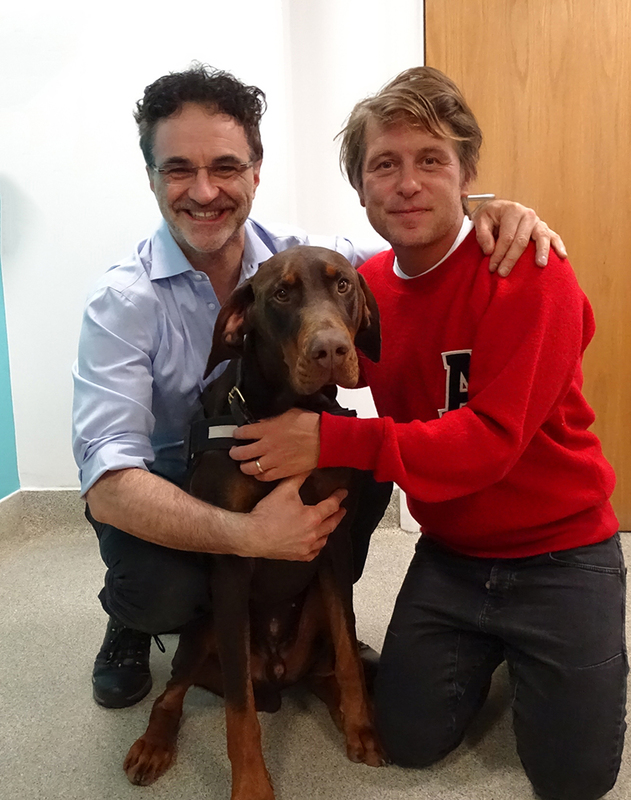 Take That’s Mark Owen has arrived with his 18-month-old Doberman, Arnold, currently the largest canine in this dog fan’s family. 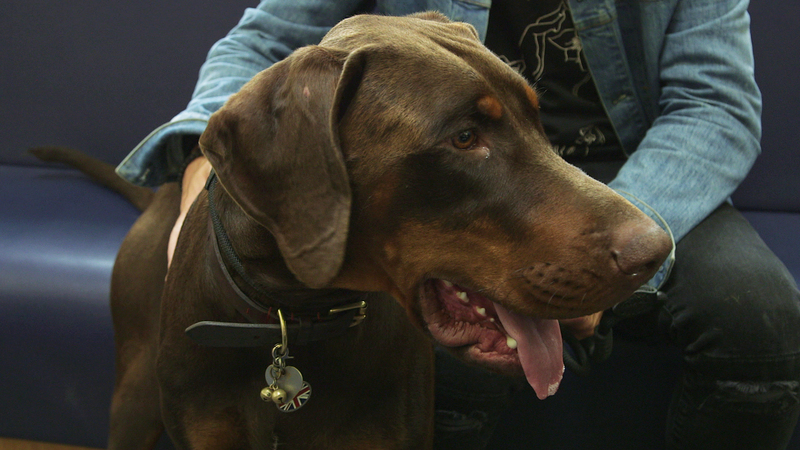 Arnold is the latest edition to Take That band member Mark Owen’s family of dogs. 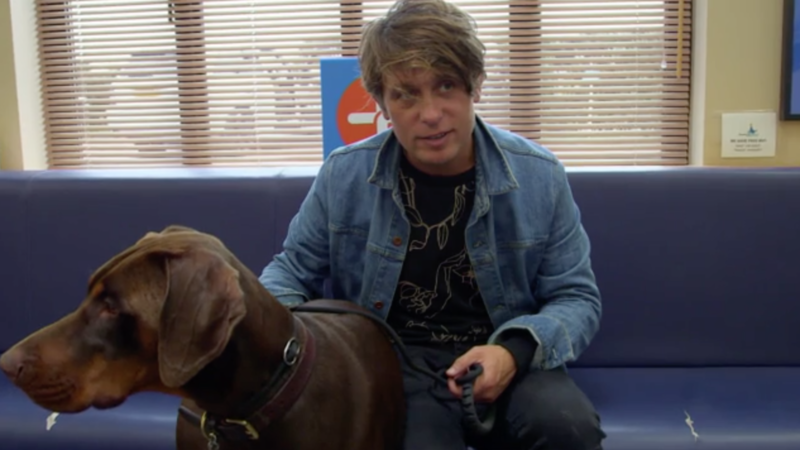 Mark is a big dog lover and has met Noel on a few previous occasions with his other dogs. Mark noticed that Arnold was lame on one of his back legs and that he didn’t put much weight through it when he stood still. 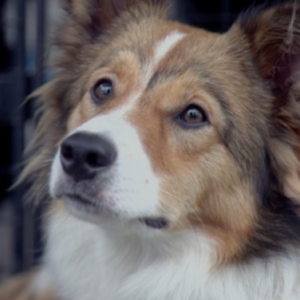 He brought Arnold in to see Noel to find out what was going on and whether anything could be done to help him. On examination, Noel established that Arnold had torn his cruciate ligaments, important ligaments that attach the femur to the tibia and prevent the femur from slipping down the slope of the tibia. The slipping femur had subsequently damaged an area of cartilage in Arnold’s knee called the meniscus. It’s a common problem with Arnold’s breed, as well as dogs of a similar stature. A special camera called an arthroscope was used to see inside Arnold’s knee to assess how badly the meniscus was damaged. Noel found that it was beyond repair, so he released the trapped meniscus and cut out the damaged part. Noel then addressed the slipping knee. To level out the slope, Noel used a curved blade to cut a section of the tibia. The curved section was rotated by 8mm and secured in place with a plate and screws. This procedure is called a Tibial Plateua Levelling Osteotomy (TPLO). 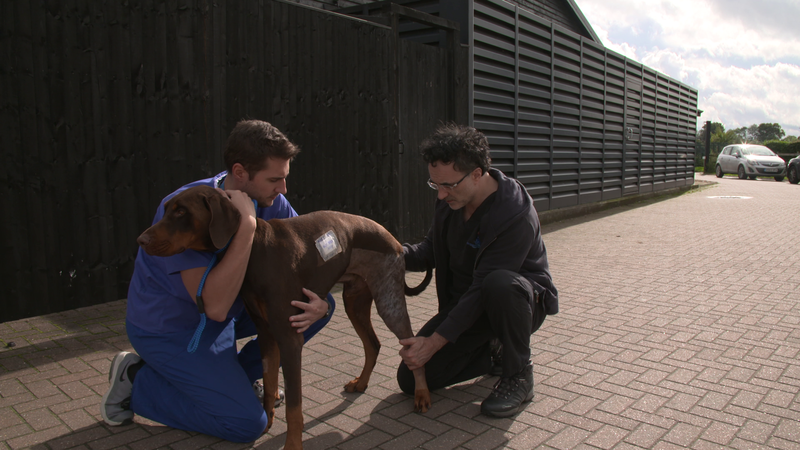 With the knee stabilised, Noel wanted to futureproof Arnold’s knee and potentially reduce his chances of developing arthritis by using stem cells. Noel harvested fat tissue from Arnold’s lower abdomen, and sent it to the lab to be cultured for injection in a few weeks’ time. Two and a half weeks later, Arnold came back to Fitzpatricks with the intention of injecting the stem cells that had been cultured from his fat tissue. Unfortunately, Arnold had managed to destroy his cone collar and lick his wounds, which caused a mild infection. This meant that the 8 million stem cells that had been grown would need to be disposed of and started growing again to be put in at a later date. On the positive side, the implant was looking good. Mark would just need to keep replacing the destroyed cone collars that ‘Terminator’ Arnold kept eating! Another few weeks later and the infection was gone, so Noel could finally inject the stem cells. Arnold would need a few more weeks of rest to allow the cells time to settle and the bone to completely heal but the team were optimistic with the use of this innovative biological technology. There was a minor glitch when Arnold was let off lead and chased some deer, causing him to become slightly lame. Fortunately there was no permanent damage, but Noel insisted he stayed on the lead for a further 4 – 6 weeks. It was a tough lesson for Arnold and Mark, but good news at least for the local wildlife, who get a one-month reprieve before the terminator returned! 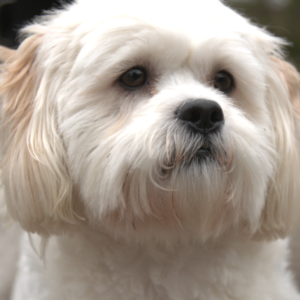 Six months on and a very happy Arnold was back – fully recovered and off the lead once more. Mark was so relieved to see his mate back to his old self.